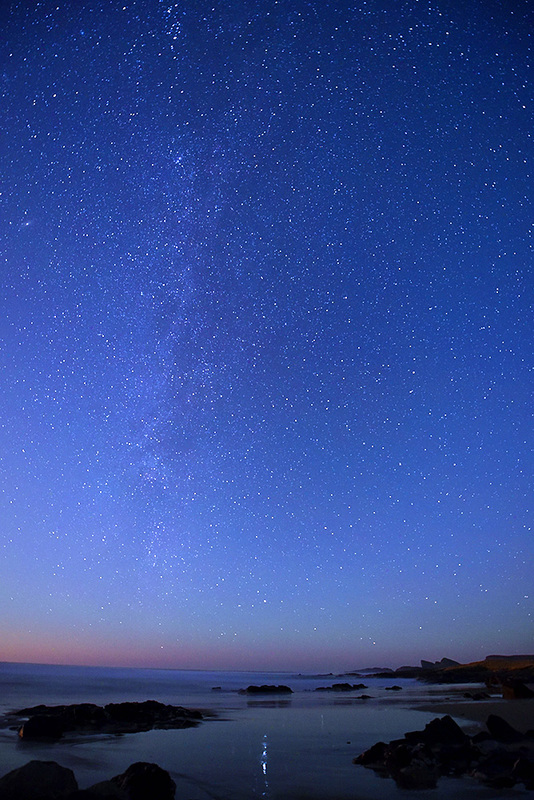 A beautiful night sky in Saligo Bay on a clear November night on Islay. 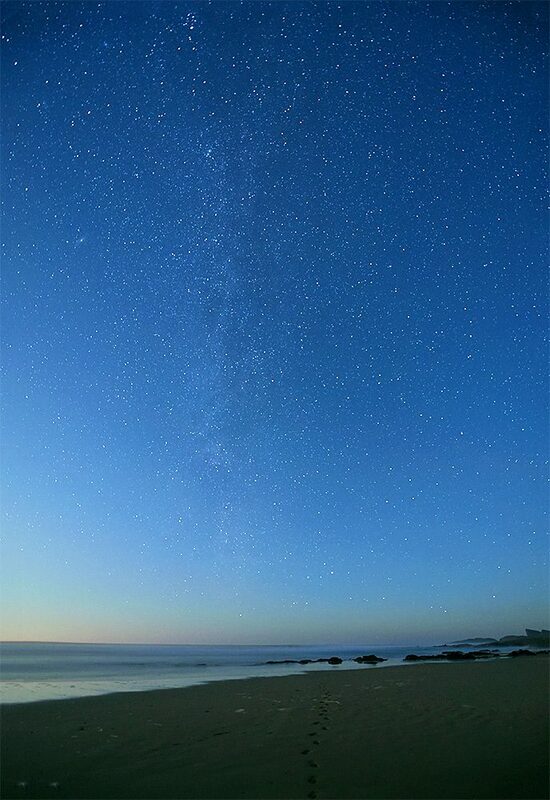 Some of the stars reflect in the shallow water running over the beach, the Milky Way stretching out across the sky. 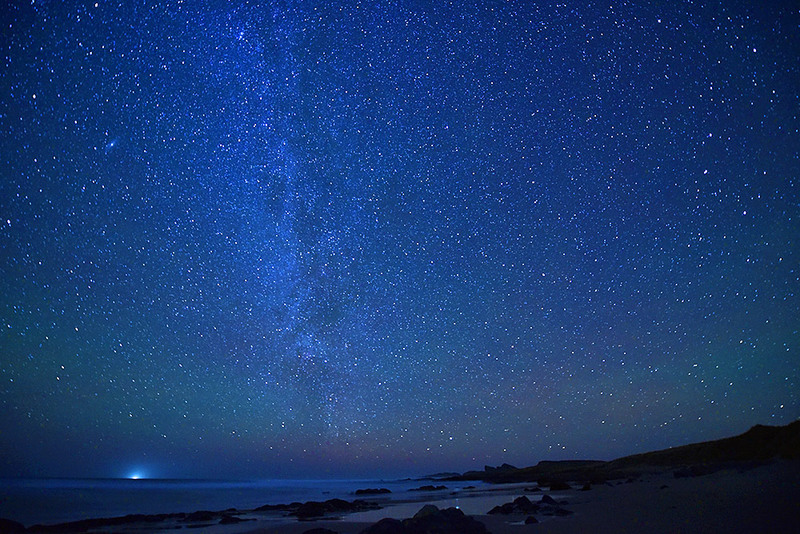 A beautiful clear November night in Saligo Bay on the west coast of Islay. Thousands of stars in the sky with the Milky Way just left of centre. Not entirely sure what the bright light left on the horizon is, I think it’s either a ship or Dubh Artach lighthouse. Also possibly a hint of northern light (the green hue) just above the horizon?